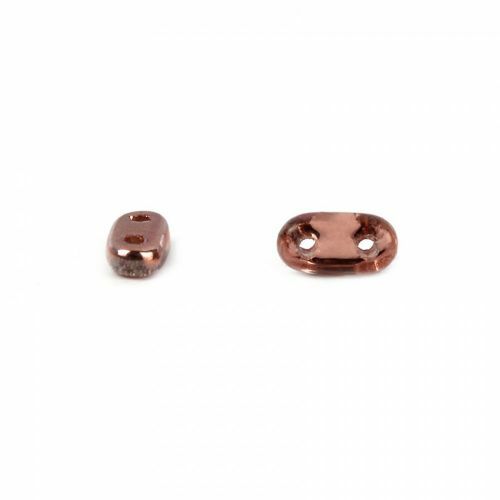 These Preciosa Twin Hole Bar Beads in Copper will look beautiful in summer jewellery creations. These little flat, rectangle shaped beads, have two threading holes making it really easy for you to create intricate pieces of work or 3-D shapes with them. The beads are a shiny copper colour and are ideal for pairing with seed beads in all sizes. Each bead measures approx. 3x6mm. Threading holes measure approx. 0.8mm. Sold in 5g pack (approx. 75 beads).